By accesing the web site, you are agreeing to bound by these web site Terms And Conditions of Use, all aplicable laws and regulations, and agree that you are responsible with any applicable local laws. If you do not agree to these terms, you are prohibited from using or accessing our website. The materials contain in the web site are protected by applicable copyright and trade mark law. Use the materials for any commercial purpose, or for any public display (commercial or non-commercial) attempt to decompile or reserve engineer any software onctained on Ebookhubb’s site; Remove any copyright or other propriety notations from the materials or; transfer the materials to another person or “mirror” the materials on any other server. 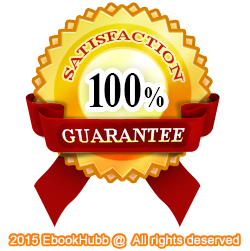 The Materials of Ebookhubb’s web site are provided “as is”. Ebookhubb makes no warranties, expressed or implied, and here by disclaims and negates all other warranties, including without limitation, implied warranties or conditions of merchanbility, fitness for a particular purpose, or non-infrigement of intellectual property or other violation of rights! Further, Ebookhubb, does not warrant or make any representations concering the accuracy, likely the results or reliabillity of the use of the materials on it’s internet website or otherwise relating to such or any other linked sites. Thanks for reading our terms.